Chaplain Richard and Star Hurst were joined by FGBC endorsing agent Mark Penfold and his wife, Robin, at Chaplain Hurst’s graduation. 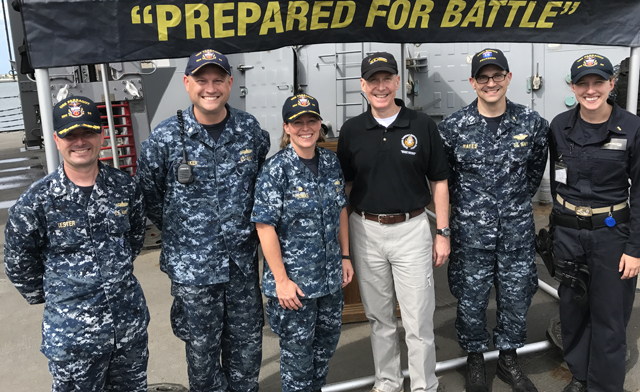 Mark Penfold, recently retired Grace Brethren chaplain with the U.S. Army, began his duties on June 1 as the chaplain endorsing agent for the Fellowship of Grace Brethren Churches. (Watch for a story on GraceConnect about Mark and his ministry.) He’s already visiting making the rounds of active chaplains. He recently filed this report. 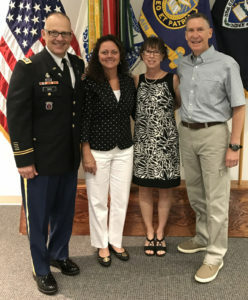 Chaplain Richard Hurst along his wife Star recently graduated from a five-month course at the U.S. Army Chaplain School, Fort Jackson, S.C. Pray for the Hurst’s as his next assignment is in South Korea.